You're away from the office when you get that sinking feeling. Maybe that file you need is locked on your desk PC in London while you're visiting Shanghai. You don't need to sweat, thankfully. Remote desktop apps let you log on to your PC or tablet and access a faraway computer as if you were there in person. Here are 5 options for Windows 8 slates and PCs. Read on to find which app is the best fit for your business. Remote Desktop lets you see a PC without dialing in via VPN. 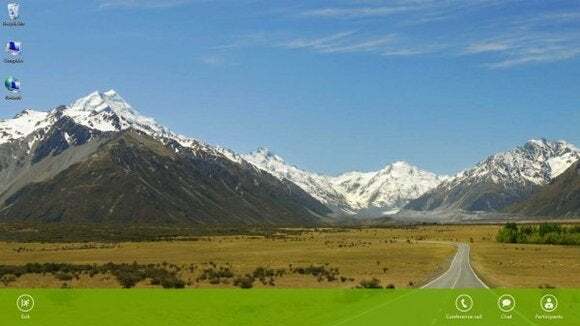 If you’re looking for a full Windows 8 experience from a remote location, you could do worse than turn to Microsoft’s Remote Desktop app (free, Windows Store). Promising a touch-friendly user interface, Remote Desktop lets you see all your remote connections on the home screen. 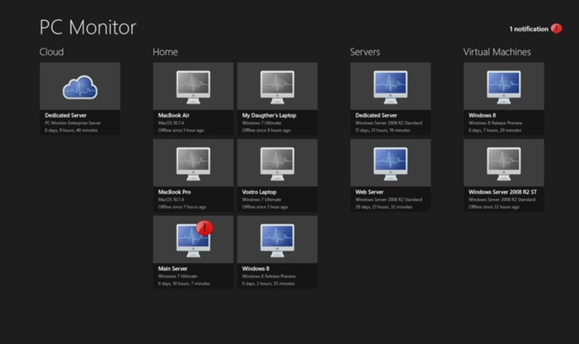 It even shows your five most recent connections and published resources as Modern-style tiles. 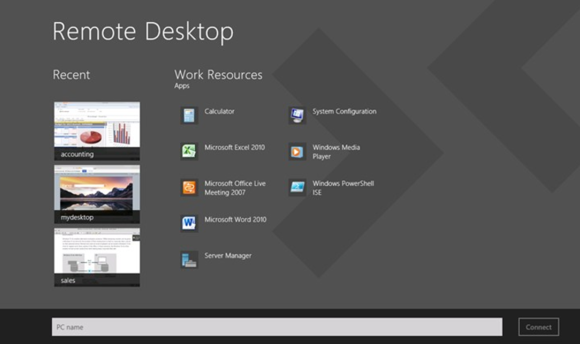 You can switch, copy and paste between RDC sessions, connect to multiple remote desktops, and continue to multi-task with the Windows 8 Snap feature. In addition, you can use the Remote Desktop app (via a Remote Desktop Gateway) to connect to a corporate PC without having to establish a VPN connection. TeamViewer supports Windows keyboard shortcuts. One of the first remote desktop vendors to jump on the Windows 8 bandwagon was TeamViewer, which rolled out an app of the same name back in October. It’s no surprise that the TeamViewer app is one of the simplest and fastest solutions available, allowing for desktop sharing and file transfer, all while behind any firewall. You can be up and running with TeamViewer as soon as the is software running on both PCs, with an Internet connection running smoothly on each device. From there, the controls are trouble-free. After you step through the authentication steps, you can share files and presentations, and even take part in online meetings. As a further bonus, you can use popular Windows 8 commands such as the open Charms sidebar, the Ctrl+Alt+Del hotkeys, and the Windows 8 Snap feature for multitasking during remote access. TeamViewer is free for individuals and available from the company’s website. Splashtop 2 is available for an array of OSs. Splashtop is a familiar name in remote desktop software that isn’t afraid of tackling a plethora of operating systems. To date, the firm has launched software on Mac, Windows, Android, iOS and even WebOS and MeeGo. 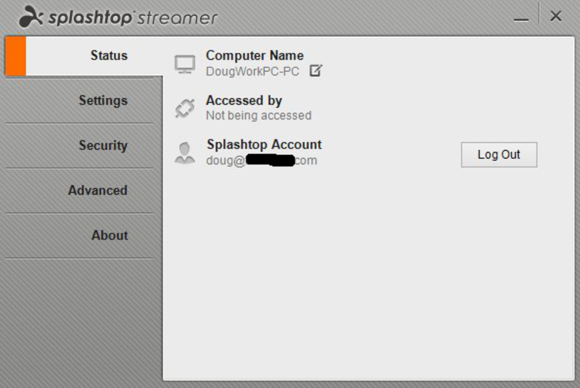 To use Splashtop on Windows 8, you'll download the software onto at least two of the devices from the company’s website, and register for a Splashtop 2 account. Next, the device with which you wish to connect to your host PC displays connected devices that you can control. There are options for minimizing the screen and muting the host PC, for starters. Upgrading to "beta" lets you block people from seeing what you are doing when you remotely control the PC. Splashtop 2, unfortunately, is a real power hog. PC Monitor lets you control more than one machine from afar. If you’re looking for something that can go beyond a one-to-one remote desktop experience and actually control multiple computers, PC Monitor (free, Windows Store) is worth downloading. As with TeamViewer, it's free to non-commercial users and it promises to keep an update of up to three computers. PC Monitor can see if the PCs are logged into, view and kill processes, run scheduled tasks, and get granular detail on PC information about memory usage, operating temperature and the CPU. You can also check and install Windows updates, and monitor the list of installed applications—handy if you want to keep employees on task. LogMeIn’s JoinMe may lack the power and finesse of some of the above applications but it’s a more than just useful for remotely viewing other screens and online meetings. The Modern-style app (free, Windows Store) supports ARM (for Windows RT devices) and x86-based Windows 8 PCs, including tablets and mobile phones. It's simple to set up. All you need to do is download the app. After that, you'll be able to receive invitations to screen-share from colleagues or friends. A Pro version costs $19 a month or $149 per year. This adds the capability to customize notes when sending out meeting invites, to view your meeting history, and to schedule follow-up meetings.